The common-or-garden onion originated from Asia, probably in Afghanistan. It is one of the oldest plants cultivated by man and has been used as a food, flavouring and medicine for over 5,000 years. Nowadays, most onions in Germany are grown near Frankenthal in the Palatinate and around Bamberg and Erfurt. Onions were a staple food for the Romans, while in the Middle Ages, people hung them on their doors to ward off the plague. In their raw state, onions contain an acidic essential oil that irritates the stomach and makes us shed tears as we chop them. Roasting, braising or frying the onions, on the other hand, releases the sugars that give the vegetable its distinctive sweet flavour. Popular onion-based dishes in Germany include Zwiebelkuchen, (a flan that also contains bacon), Onion soup and Bollenfleisch, a traditional Berlin goulash made with lamb. Zwiebelkuchen is the customary accompaniment to “new wine” at autumn wine festivals in numerous German wine regions, including in Baden, along the Rhine and Moselle, in the Palatinate (where it is known as Zwiwwelkuche) and in Franconia (Zwiebelplootz). The onion, along with other members of the Allium family such as garlic, contains sulphurous compounds that are broken down by enzymes when sliced. This is what gives these plants their antibacterial and anticoagulant properties and helps them reduce levels of blood sugar and cholesterol. The onion is more useful even than garlic for everyday ailments: the juice of fresh onions, for example, is a traditional remedy for coughs and colds. Experiments have also shown that fermented onion juice can help relieve respiratory allergies. Onions even lessen the pain of insect bites: simply halve, then apply directly to the affected area. The Black Forest is in the state of Baden-Württemberg in southwestern Germany. It is bounded by the Rhine valley to the west and south. The Black Forest gateau is a classic German dessert enjoyed around the globe. This layered cream cake with its unique colour combination of black, red and white became popular throughout Germany in the 1930s and later spread to the rest of the world. The key components are layers of chocolate sponge soaked in Kirsch schnapps, a cherry filling, cream or butter cream, and cherries and chocolate flakes for decoration. Apart from the obvious assumption that it comes from the Black Forest, there are many other theories on how the cake got its name. It is possible that the cake got its name from the traditional costume worn by women in the Black Forest: the dress is black just like the chocolate flakes, the blouse is white like the cream and the hat has red pom-poms that look just like cherries. The patissier Josef Keller claimed to have invented the cake in 1915 in the Agner café in Bad Godesberg, which was very popular in its day. However, this has yet to be proven beyond all doubt. According to research carried out by Tübingen town archivist Udo Rauch, more and more evidenceis pointing to the Tübingen master patissier Erwin Hildenbrand having invented the Black Forest gateau in the spring of 1930 at Café Walz in Tübingen. On 1 August 1999, the world‘s biggest Black Forest gateau measuring 5.10 metres in diameter was produced in Enzklösterle in Baden-Württemberg. A total of 340 litres of cream, 28 kilos of flour, 95 kilos of cherries, 1,120 eggs and 60 litres of genuine Black Forest Kirsch schnapps were used to create this record-breaking masterpiece. The 4,500 slices of cake tasted so good that they sold out within two hours. The largest Black Forest gateau in the world was entered into the Guinness Book of Records in 2001. Geographic location: Western Germany, south of Aachen (Northrine-Westphalia), close to the border of Belgium. The Eifel hills extend from the Moselle to the „Hohes Venn“ nature reserve. The region is home to some remarkable culinary secrets, such as dishes made with Aachen Printen gingerbread, a treat not reserved for the Christmas season. The name ‘Aachener Printe’ may only be used for gingerbread baked in Aachen and a few surrounding villages. And yet, it was not an inhabitant of Aachen to whom we owe the breakthrough in the recipe. Rather, it was Napoleon, who, with his continental blockade, cut off the supply of sugar. The resourceful inhabitants of Aachen were thus forced to use sugar beet syrup instead. The Eifel is also famous for its mustard, which comes in numerous varieties, from wild garlic to redcurrant and blackcurrant. One of the few remaining operational mustard mills (“Senfmühle”) in Germany is located in Monschau. The historical mill also houses a museum. The „Mostert“ produced here is also used in cooking, for instance as an ingredient in the Monschau gourmet soup „Earl of Mostert“. Even chocolate with flavors ranging from orange to chili is produced with added mustard in Monschau. The Eifel is a volcanic region acclaimed for its pure and clear water, which also benefits its fish. The many trout farms make it an insider‘s tip for fish lovers. Cooked, grilled, fried or sautéed in herb stock – and served with a mustard sauce, of course – Eifel trout is a little-known gourmet pleasure. Something from the grill: Saarland is known for hearty food specialties. Hearty food is popular in the Saarland. A typical regional dish is „Dibbelabbes“, made from grated raw potato, dried meat and onions or leeks and served with apple sauce or a green salad. In the Saarland, meat dishes are often grilled on a tripod with a free-swinging grate called a „Schwenker“. The term „Schwenker“ can refer to the grill, the person using it or the meat being grilled. The practice originates in the Saarland but has become popular throughout Germany. Grill favorites include sausages, marinated neck of pork („Schwenker“), meatballs or „Lyoner“ – a ring of Frankfurter-style sausage that now enjoys protected regional food status throughout the EU. Another typical specialty of the region is dandelion salad, often prepared with bacon and eggs. Due to its diuretic properties it is also known locally as „bed wetter‘s salad“. When the wall between East and West Germany came down, a variety of culinary specialities from the eastern regions of Germany were introduced across the whole country. Some foods, such as Thuringian rostbratwurst (barbecued sausage), had remained on West German tables even through the chilliest of the Cold War years, while others such as soljanka, a slightly sour soup containing fish and meat, are of Soviet origin – a legacy of East Germany‘s more recent history. Many other regional specialities, almost lost to a generation, were able to be enjoyed throughout the whole of Germany once again. Spreewälder Gurken (Spreewald gherkins) is an EU-protected designation which can only be used for these pickles from the Brandenburg region. Writing in the 1870s, Theodor Fontane hailed them as the most important agricultural produce to come out of the Brandenburg Spree Forest. The ideal Spreewälder Gurke is between six and 15 centimetres long. The cucumbers thrive in the moist, humus-rich earth and the climate around Lübbenau. The precise blend of herbs and spices used for the pickling is a well-kept secret known only to around twenty manufacturers. The mix always includes basil, lemon balm and vine leaves, cherry leaves or walnut leaves. After the reunification of Germany in 1990 the Spreewald gherkin was one of the few products from the eastern part of the country to remain available without any disruption to supply. The gherkin has also lent its name to the 250km Gherkin Cycle Route which links the most important towns and villages in the Spree Forest. The logo depicts a laughing gherkin riding a bike. The tradition of baking a stollen cake for Christmas dates back many centuries, and is thought to have originated in Dresden around 1450. The shape of the stollen cake is intended to symbolise the infant Jesus wrapped in his swaddling robes. The earliest documented mention of Christstollen in Dresden was in 1474, when it was known locally as “Striezel”. The Dresden Striezelmarkt is Germany‘s oldest Christmas market and is named after this traditional delicacy. After the two parts of Germany became one, the “Dresdner Stollen” was protected as a geographical indication of origin and a registered trademark, and since 1997 the name “Dresdner Stollen” may only be used for stollen cakes baked in Dresden. Dresdner Stollen contain at least three kilograms of practically water-free fat, at least 50 per cent of which is milk fat, for each 10 kilograms of flour or starch. At least seven kilograms of dried fruit, preferably raisins, are added, along with candied lemon and orange peel, and at least one kilogram of almonds. Traditionally, the recipe does not include perzipan. Schwarzbier, or “black beer”, is a dark, full-bodied beer which usually contains between 4.8 and 5 per cent alcohol. It gets its colour from the use of dark brewer‘s malt or roasted malt, which is also what lends it its characteristic roasted flavour. Thuringia, Saxony and Brandenburg are the regions where schwarzbier is traditionally brewed; the earliest documented mention in Thuringia was in 1543. The great writer Johann Wolfgang von Goethe was known to be a schwarzbier aficionado. Dresden without sauerbraten (marinated braised beef) would be like England without fish and chips. Although opinion in Dresden is divided as to whether or not there should be raisins in the marinade, everyone agrees that potato dumplings and red cabbage are the traditional accompaniments. The basic preparation method is always the same: beef is marinated for one or two days in a mixture of buttermilk or soured milk and various herbs and spices. Then it is braised very gently in the oven with onions and lardons for about two hours. Finally, the juices are mixed with gingerbread to make a thick, creamy sauce. But Saarland is not only famous for its hearty home-cooked fare. Germany’s smallest federal state boasts two three-star and one one-star chef in the current Michelin guide. Bavarian cuisine is famous the world over. Bavarians‘ love of hearty food combined with the incredible variety of traditional beers, breads and sausages on offer has shaped the outside perception of what Germans eat and drink. In these health-conscious times when portions seem to get smaller and smaller, one or two of these specialities will no doubt lose points for those counting the calories. But anyone who lets that put them off is missing out on a world of taste sensations that has stood the test of time. Weisswurst or ‚white sausage‘ is a Munich institution with a long tradition. It is still only ever eaten before 12 noon (and always without the skin). This is because the meat was quick to turn bad in the days before refrigeration. Traditional festivals, most notably the Oktoberfest and the carnival, have seen the reputation of this veal sausage flourish on the back of Munich‘s increasing popularity. According to the city records, it was invented on 22 February 1857 in “Zum Ewigen Light”, a hostelry on Marienplatz square. The weisswurst was apparently an improvisation by Joseph Moser, the inn butcher at the time, who lacked the required ingredients to make normal sausages. Of the 30 gentians that grow wild in the Alpine regions of Germany, only four are suitable for making this traditional brandy: the yellow gentian (gentiana lutea), the red gentian (gentiana purpurea), the spotted gentian (gentiana punctata) and the violet gentian (gentiana pannonica). The latter, also known the Hungarian gentian, is most commonly found in the Berchtesgadener Land region. From August to October, the roots are dug up from their individual fields using hoes then distilled to a traditional recipe; Enzian brandy is the result. Bavaria can justifiably claim to be the home of the dumpling and prides itself on the invention of the famous semmelknödel: about the size and shape of a tennis ball, these breadcrumb-based delights have been enjoyed in the region since the Middle Ages. They are usually eaten with roast pork, roast leg of goose or mushroom dishes, but also go well in a good meat soup. Any leftovers can be sliced and crisped off in a frying pan. Some people like to crack a few eggs over them, too. A salad is the perfect accompaniment. The Nuremberg Rost Bratwurst was first documented in 1313. A notable aficionado was Goethe, who loved the marjoram-flavoured sausages so much he had them delivered by post to Weimar. Rostbratwurst is best enjoyed straight from the grill with a crispy brown finish on all sides. They can be bought at stands all over their home city, where they are normally served in threes in a bread roll. Eaten as a complete meal, they are accompanied by sauerkraut and slices of farmhouse bread, washed down with a traditional German beer. Locals also like to pair their rostbratwurst with potato salad or horseradish. When Bavarians talk about radi they are referring to radishes. The most popular variety is known as the Munich beer radish. The fleshy, spherical or turnip-shaped roots of the radish contain a pungent essential oil that gives them their distinctive, peppery flavour. One single radish easily covers an adult‘s recommended daily intake of vitamin C. Radishes are also an excellent source of calcium, which is good for strong bones and healthy teeth and helps prevent blood clots. 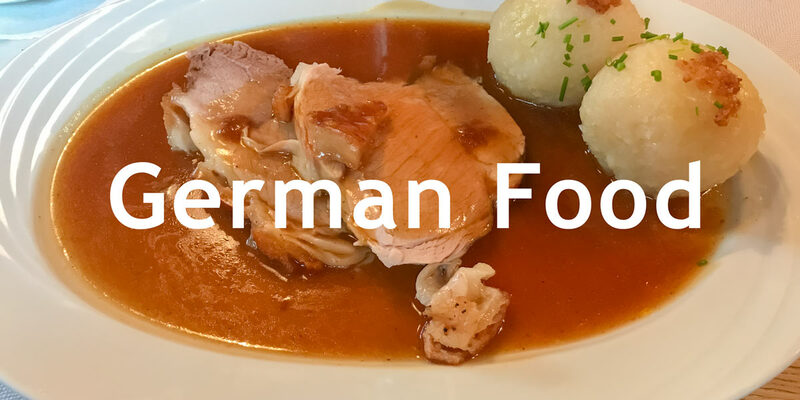 Swabian dishes are simpler and more down to earth than those in the neighboring Baden region, which are heavily influenced by French cuisine. Their traditional homeland is Swabia, Bavarian Swabia and the Allgäu region, parts of which reach down into Austria. A key ingredient is egg pasta, which comes in a wide variety of shapes and sizes, such as spätzle and Maultaschen (Swabian noodles and ravioli respectively). Hearty soups and stews are also typical of Swabian cuisine. For many hundreds of years, the barren, stony soil of the Swabian Alb made it impossible to breed livestock in any great number. Only a few people could afford to eat meat. It was considered the food of the lords, whereas common people had to make do with offal and simple, flour-based meals. Maultaschen are the most famous of the Swabian specialities. These wrapped or folded pasta pockets filled with a generous portion of meat, spinach, onions and soaked breadcrumbs have been exported all over the world in recent years, with fans in the very north of Europe, the USA and even Russia. Maultaschen are affectionately known as Herrgottsbscheisserle – the little ones that cheat the Lord. In days gone by, so the story goes, the monks invented them to conceal the fact that they were eating meat during Lent. There are so many ways to cook them, too, whether simmered in a hearty beef broth or geschmälzt (cut into thin strips and sautéed with crispy onions). The many fillings to choose from extend the variations further still. Spätzle egg noodles feature heavily in Swabian cuisine and are enjoyed outside the region as well. A universal accompaniment to sauce-based meat dishes, they are usually dressed with melted butter, browned breadcrumbs and crispy onions. Occasionally, the spätzle are served with apple sauce or other fruit purées to make a delicious dessert. Spätzle are made from a firm dough of flour and egg which is traditionally grated thinly from a wooden board straight into boiling water. Käsespätzle is a popular baked version of the noodles topped with crispy onion rings and cheese. It is also common for spätzle to be served with lentils and traditional Swabian sausages. Schupfnudeln are another speciality from the Swabian kitchen. These tapered, finger-sized rolls of potato dough are cooked in salted water and then fried in butter until golden brown. They can also be served as a dessert with cinnamon sugar or apple sauce. Krautschupfnudeln are fried with sauerkraut and bacon pieces and commonly served at wine festivals and fun fairs. A Laubfrosch or „tree frog“ is a mixture of sausage meat and stale breadcrumbs seasoned with salt, pepper and nutmeg, wrapped in spinach leaves, then pan-fried or baked. Seelen are long breads made from spelt flour and yeast and speckled with caraway seeds and coarse salt. They are crispy on the outside yet light and fluffy on the inside. This is due to the high gluten content of the spelt that stops them from drying out.. Whether you are looking around the markets, trying some Westphalian ham on the bone or a full-bodied cheese, or visiting the chocolate museum – the Rhineland is a real paradise for connoisseurs. From the quaint pub on the corner to the finest star-rated restaurant, the west of Germany has a selection of food and drink to suit every taste. Cologne is known as the „secret capital“ of beer, as scarcely any other German town or city has so many breweries. Kölsch, the local beer speciality, benefits from EU geographical indication protection, and you can currently enjoy 31 different labels in and around Cologne. If you wish to find out more about this top-fermented beer, the two-hour Kölsch tour offered by Cologne Tourism Office ticks all the boxes. The Düsseldorf Tourist Guides Association organises a historical culinary tour dedicated to traditional dishes such as Himmel und Erde (mashed potato and apple sauce) and other tasty treats. Alternatively, you can stroll through the lanes of the old quarter to learn more about Düsseldorf‘s top-fermented Altbier and visit a typical private brewery. In the Rhenish city of Cologne, the famous Westphalian ham on the bone is said to have been sold as a speciality at one of the leading markets in the Middle Ages as early as the 12th century. Further evidence of this can be found in the „St. Maria zur Wiese“ church in Soest: a glass painting over the northern portal dating from around 1500 AD depicts the „Westphalian Supper“. Even Goethe once commented, „Instead of an Easter lamb, there was a ham on the table…“.